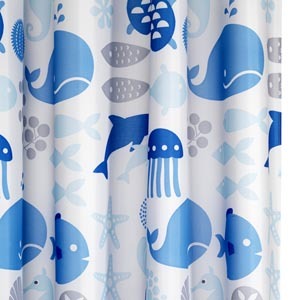 Byretech's Polyester shower curtains are great quality, easy to hang and won't break the bank. All are 180cm x 180cm and are made from quality Polyester material. Polyester is soft to the touch, its water resistant and easily washable at 30 - 40 Degrees C.
All the hems are weighted and the curain is stiched all the way round. We suggest you wash these curtains on a monthly basis to keep them fresh. Either hang to dry, or run a warm iron over them and they will last for ages.